All Wednesday services begin at 7 p.m.
Every church has a story. We all have a heritage, and a founder that we owe a great debt of gratitude to. In 1959, Pastor Kenneth Brann had a burden for a Pentecostal work in Elizabethtown, Kentucky. He made several attempts to start a work, but also faced several obstacles. Brother Brann had a tremendous heart for the community, and had two tent-meetings as an effort to reach out. 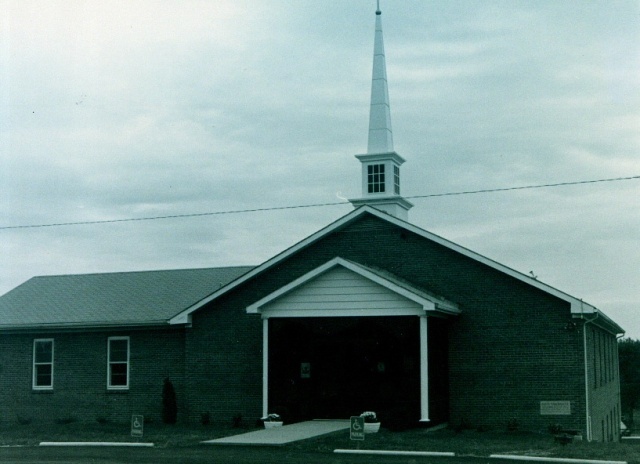 Through those tent-meetings, home visits, and a group from Hodgenville joining them, the church grew and Faith Tabernacle was finally on solid ground. After meeting in a couple old run down church buildings, Faith Tabernacle moved to a home on Central Ave. and experienced great growth, and eventually began a bus ministry. In 1975, with the guidance of Brother W.L. Rogers, they purchased the current location where they built, and worshiped in what is now called the Brann Student Ministry Center, so named in honor of our founding pastor. At this time, Ring Rd did not exist, and the church building sat on a gravel parking lot, but God had given Brother Brann a promise that he would reach many in Hardin County. In 1987 the name was changed to First Assembly of God. On Easter Sunday of 2003 due to God’s blessing, and exponential growth, they moved to the beautiful new facility that sits on the property now. With its trademark “big blue roof” the church grew, and God began to align a special group of people. 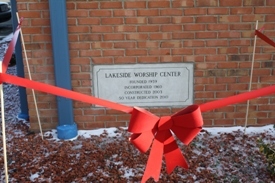 In 2004 the name was changed to Lakeside Worship Center. Since that time, our church family has been tried by fired, and have come out as gold. With a fresh promise from God, birthed out of Habakkuk 1:5, that He would “do a work in our days that we would not believe, even if He told us,” we believe that our best days are in front of us! The Pentecostal work our founding pastor desired is still going strong, as we encourage the Gifts of the Spirit in each service. The promise God gave Brother Brann is also still coming to pass, as many Pentecostal churches have been birthed out of his ministry! Many are being reached because Brother Brann didn't give up on Faith Tabernacle. As we look to the future, we realize that God’s hand is on us as a people. We have a desire to see God move in a special way, and we want Him to receive all the glory. Lakeside Worship Center is a place where the hurting can find hope, and no matter who you are, you are loved! We believe that Hardin County is ripe for harvest. As all of the Pentecostal churches in this area owe a debt of gratitude to Brother Brann, let us begin to work together for a last days harvest!